Your home looks so beautiful for the holidays! I love your tree - the antlers are such a fabulous topper! BIG Love! most pretty tree ever! excited to see the rest! Gorgeous holiday decorations Christina. I hope you and your family have a wonderful Christmas. Absolutely awesome! Can I ask where you got the skinny-but-tall tree? 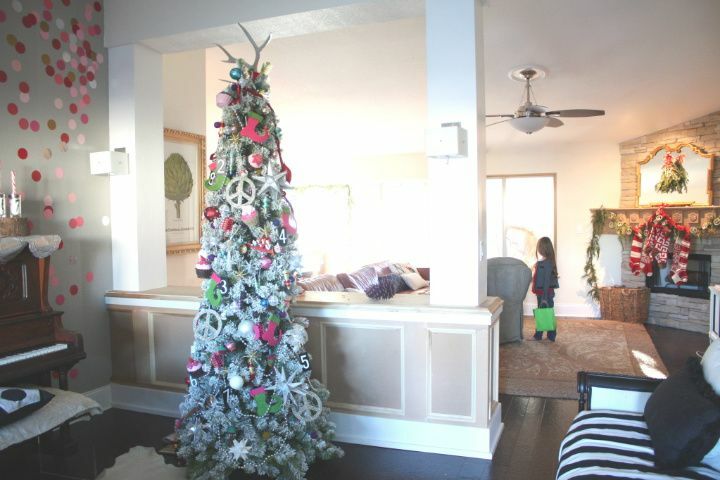 I have a teeny studio with limited space, but I could rock a tree like that! where oh where did you find the antlers?! i've been wanting some this year. your home, as usual, looks nothing short of amazing. seriously, wow. Those dots are awesome! 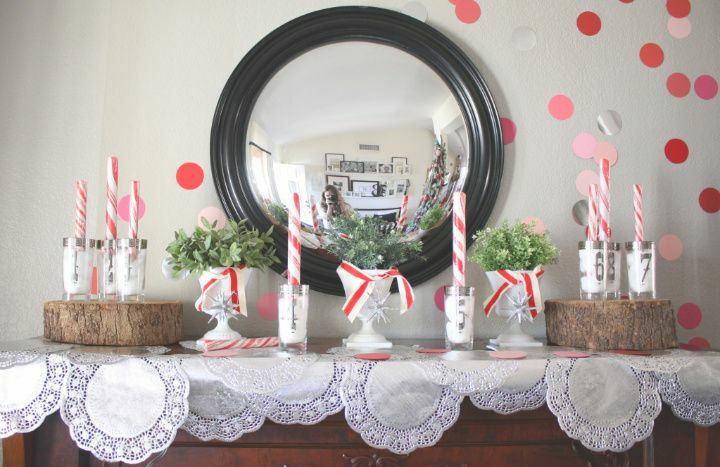 It is so fun and festive :) who knew doilies could be so chic?! So pretty! I especially love the dots & doilies! Must, must, must get that tree-- would you mind sharing the source? Hi there!! First of all thank you for very nice comments. They only sell to retailers but if you contact them like I did and beg them to sell you the "Nordstrom" tree (as in the same one that Nordstrom has displayed for Christmas) then they will probably sell one to you and you will love it:-) The bonus is it is reasonably priced too...I didn't have to pay for shipping though because San Diego is a hop skip and a jump away..that shipping can sure be pricey these days. If anyone gets that tree let me know. 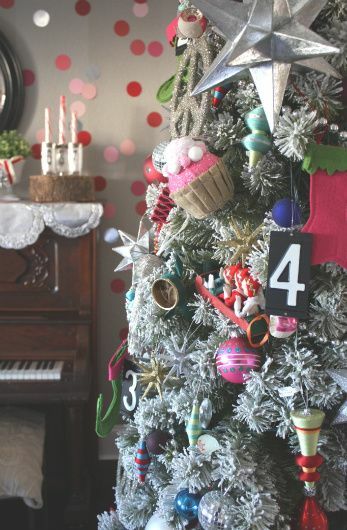 of course your tree is freakin' fabulous! i love it! it's totally unique and fun and just makes me want to sing christmas carols at the top of my lungs! and i love the dots too...so festive. the colors you used are gorgeous. I LOVE it. The dots are fantastic. love the tree. so fun and festive. 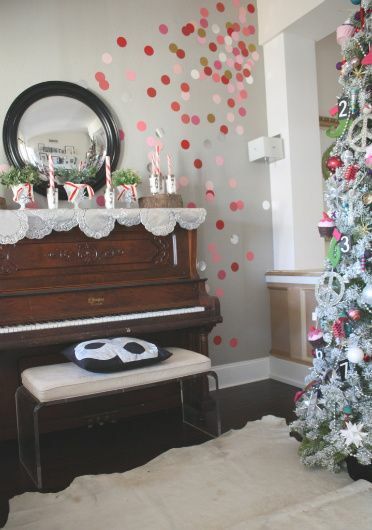 must know how you are adhering all those dots to your walls. Your decorations are so happy and festive! Love all the bright color. you never disappoint, my dear! the dots, the antler topper, the doilies! it is all wonderful!